In the Theatre of the Absurd, Libya once again takes Centre Stage – Ila el amam! 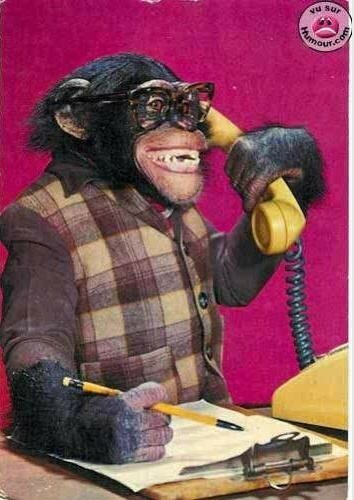 Is this Abushagur calling the media about Moussa Ibrahim’s arrest? October 23, 2012 – “In the Theatre of the Absurd, anything is possible”, former executive member of the Tripoli based World Mathaba, Gerald A. Perreira, wrote in one of his already historic articles last year. “However, this latest scenario in Libya has taken absurdity to a whole new dimension”, he added. 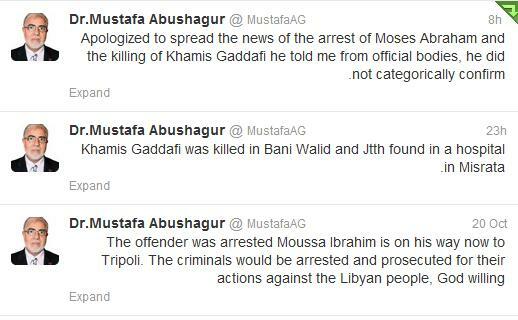 Criminal Moussa Ibrahim was arrested and he is now on his way to Tripoli. These two Twitter messages were sufficient for hours of global speculation, confusion and wrong conclusions, and it took an audio message by Libyan Jamahiriya spokesman Moussa Ibrahim himself, in which he declared that the falsities spread by the media were only meant to distract from what is really happening in Libya, to expose the punch line of this series of Libya’s Theatre of the Absurd. The Greek philosopher and polymath Aristotle (384 BC – 322 BC) already stated in his zoological natural history text Historia Animalium (History of Animals) that “Libya always bears something new”, which sometimes is also translated as “Libya always bears something evil”. By that time, Aristotle was talking about the few watery places in the North African desert country which functioned as an “animal mathaba”, a joyful and refreshing gathering place of many animals. If the animals were somewhere near the same size and had similar gestation periods, they might cross and thus create a new animal species, which is the origin of Aristotle’s saying. As the new species sometimes mainly contained plain misfits, its members were called “something evil” instead of “something new”. Yet something similar has taken place in Libya, where beings of different origins underhandedly gathered in and around the once sovereign country for years: Al Qaeda beings, CIA beings, imperialist beings, corporate-fascist beings as well as ignorant beings who were duped into a fake revolution by the above mentioned beings who used the as lofty as naive notions of freedom, democracy and human rights to convince them of the sincerity of their goals. Like the animals from Aristotle’s “Libya always bears something new”, or in this case more preferable “Libya always bears something evil”, the beings crossed and a new species was born in 2011. Some Jamahiriya supporters call the members of this species rats, others call them terrorists, puppets or traitors, but one thing about this species is crystal clear: It is weak, it exists of misfits and it lies, misleads and distorts the truth extremely well. May the law of the strongest prevail soon… victory to the Libyan Jamahiriya!